I put my baby in it as soon as I need to do something at home, like cleaning, cooking or why not just do my make up! 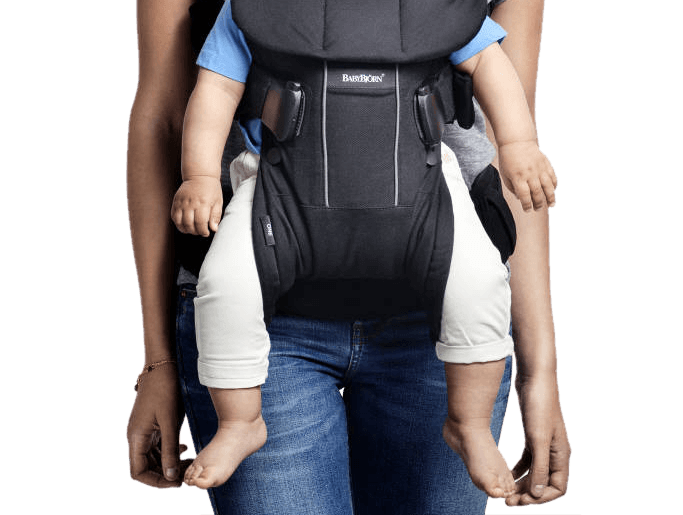 It's so handy and my baby loves it it really makes my day so much easier. 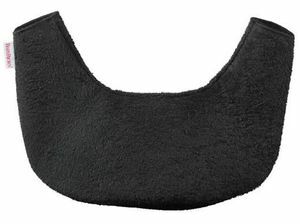 Comfy, easy to use. 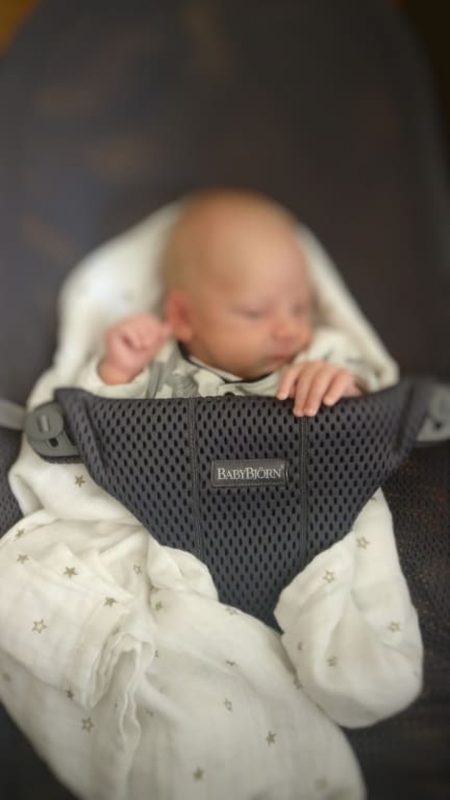 Baby is safe in it, and I feel happy to not have to support it with my hand. I like that you can adjust where the baby's head goes. The baby loves it too, just sleeps in it. It would be good if there was something where the baby's head rests on you when facing inwards, so if they were sick etc it would go on that, rather than you. Which is removable and wadhable like some carriets have. The first time I used this product was when I was when I was 16 to carry my nephew. 15 years later, I bought this same product for my own child. Best carrier ever. Easy to put together. Easy to use. Good manual. You Get a product of high quality, and it works just as intended. 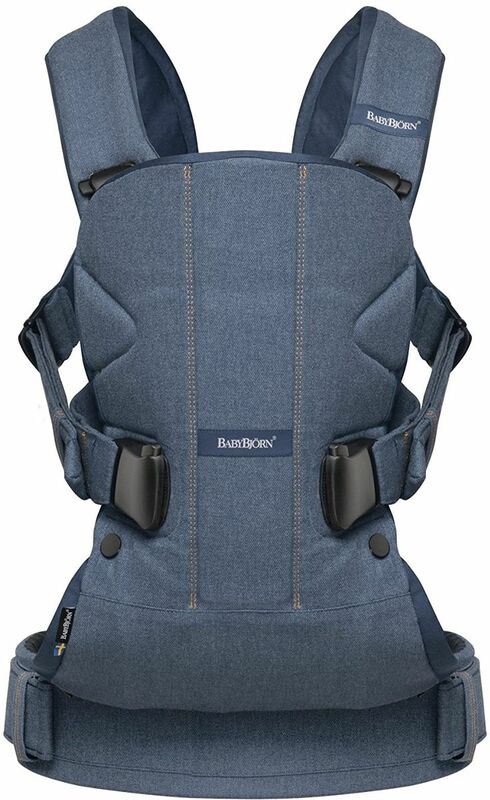 Was recommended this bouncer by multiple friends with babies, and will recommend it to friends and family. top wippe, sehr zu empfehlen!! My daughter is 2 months old and i can let her in while i eat or wash the dishes! A really good little helper! 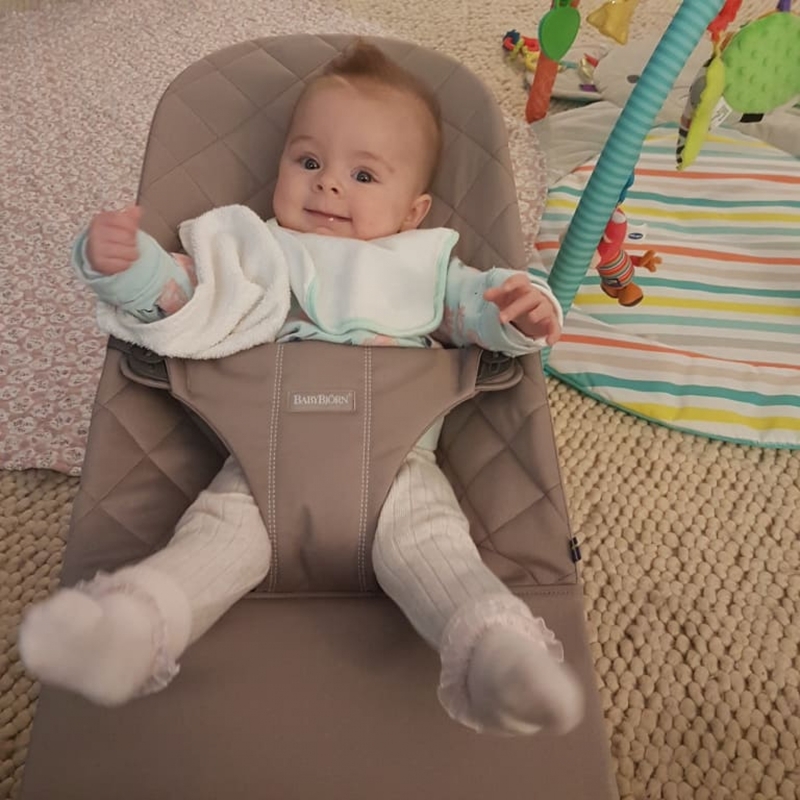 I bought this bouncer (which is more accurately called a Transat or lounging chair in French as it doesn't really bounce unless you give it a gentle push) after it was recommended to me by a mother of two who uses it. I am very happy with this chair. 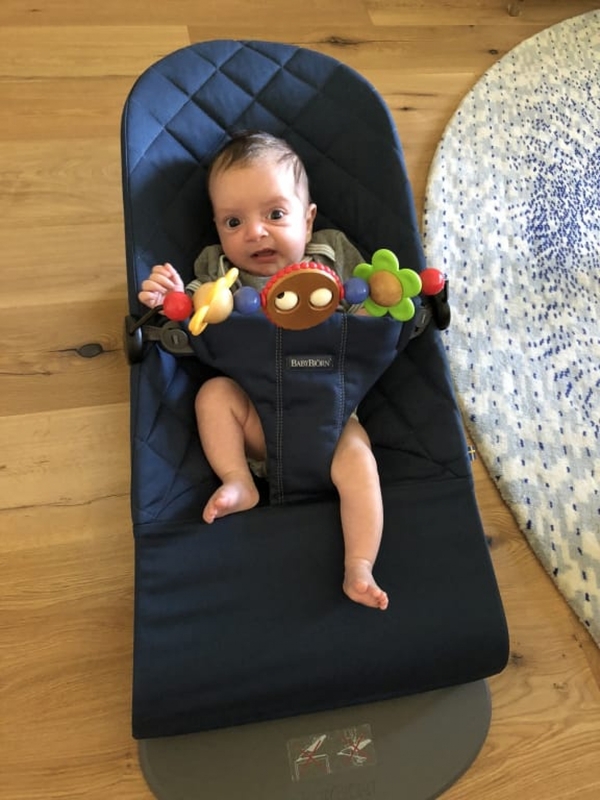 My 7-week old daughter had been showing signs of wanting to sit up for a couple of weeks and she had never really got used to staying on her bean bag or in her Moses basket during the day time. She was fine staying on her play mat but quickly got bored which meant that I had to carry her a lot. I was worried that she wasn't going to take to this chair. This bouncer has made her a happy girl. She loves sitting in it and watching us eat or cook. It's also made it easier for us to play with her: she loves being spoken to and this bouncer makes it possible for us to talk to her face to face. Best thing what we bought to our daughter! She is only 6 weeks old, and she loves spending time in this bouncer, she makes a nap in there or discover new things. Absolutely perfect, I recommend it! Super Wippe, unser Kind liebt sie! Wir haben die Wippe gekauft um unser Baby, zeitweise dort rein zu setzen. Das Baby gefÃÂ¤llt die Wippe sehr gut. Schon bei den leichtesten Wippbewegungen schlÃÂ¤ft es ein. The best part is that she'll be able to use this for almost 2 years!! I'm just hopping she keeps loving it. This product manufactures children's smiles. 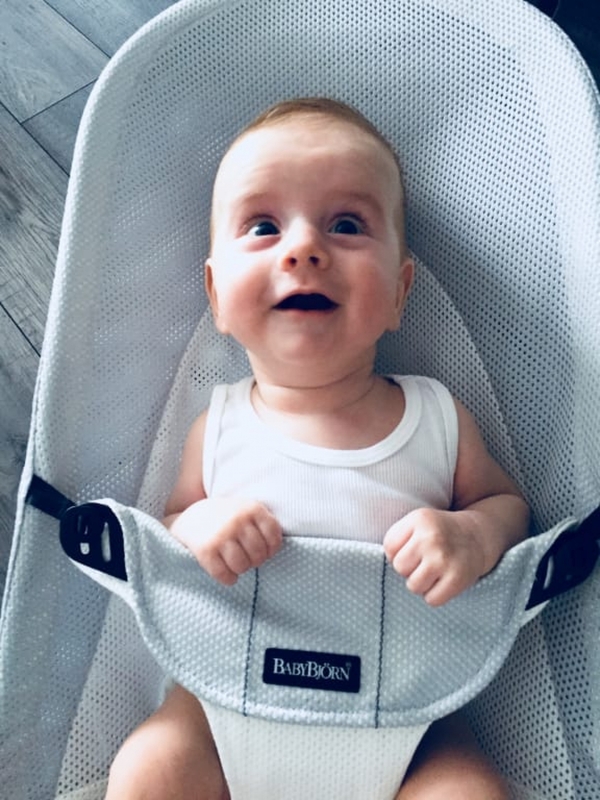 Our daughter Agata loves spending time in her midnight blue bouncer and she gives us her most beautiful smiles. The great and modern design is very important for us. Uns ÃÂ¼berzeugt die Wippe sehr. Der kleine Zwerg liebt es darin zu sitzen, sie schaukelt so schÃÂ¶n natÃÂ¼rlich und wenn er anfÃÂ¤ngt wach zu werden schaukelt er sich ganz alleine zurÃÂ¼ck in den Schlaf. Durch das HÃÂ¶henverstellbare kann aber auch gut mit dabei sein und mir zuschauen wÃÂ¤hrend ich Dinge erledige wo ich die HÃÂ¤nde frei brauche. Der GroÃe hat die Sitzfunktion getestet und fÃÂ¼r gut befunden. Das klassische sehr elegante und schlichte Design ist fÃÂ¼r mich ein riesiger Vorteil gegenÃÂ¼ber sÃÂ¤mtlichen anderen Produkten auf dem Markt. Das Mitternachtsblau ist wunderschÃÂ¶n und durch das gesteppte wirkt sie wirklich sehr elegant. Insgesamt strahlt sie Langlebigkeit und sehr gute Verarbeitung aus. Ich finde die Wippe super, mein kleiner fÃÂ¼hlt sich richtig wohl darin und ich merke das es an seinen KÃÂ¶rper angepasst wird. Somit habe ich als Mutter zum auch mal freie Minuten fÃÂ¼r mich. Was mir fehlt wÃÂ¤re eine Tasch, wo ich die Wippe mitnehmen kÃÂ¶nnte. Al bebÃÂ© le encanta, me regalaron la rosa en tejido mesh y es fresquito y lava bien, un acierto! Great product. Baby feels secure when all the latches are in place. 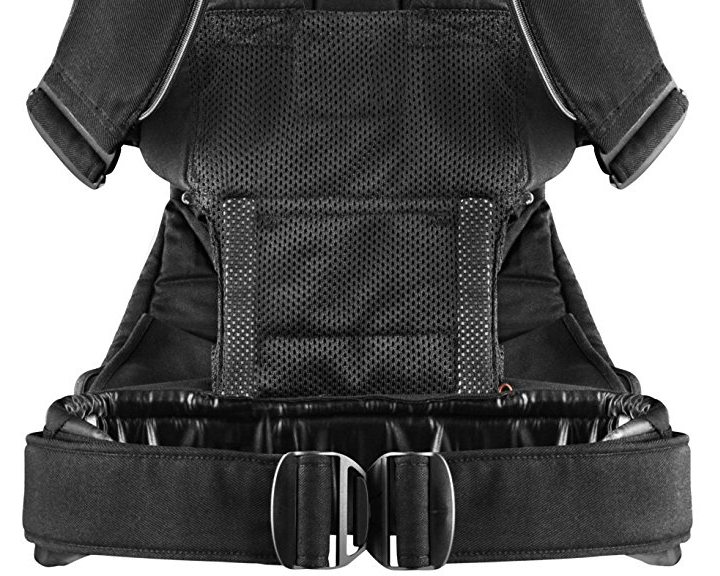 Only two issues are parents getting into the harness and using the shoulder latches. Una hamaca estupenda! Buenos materiales, tela agradable al tacto, muy cÃÂ³moda y segura. Nuestra hija esta encantada con ella! Super pratique, super compact ! Die Wippe lÃÂ¤sst sich praktisch in der Wohnung transportieren. Der Preis ist allerdings relativ hoch im Vergleich zu anderen Wippen. 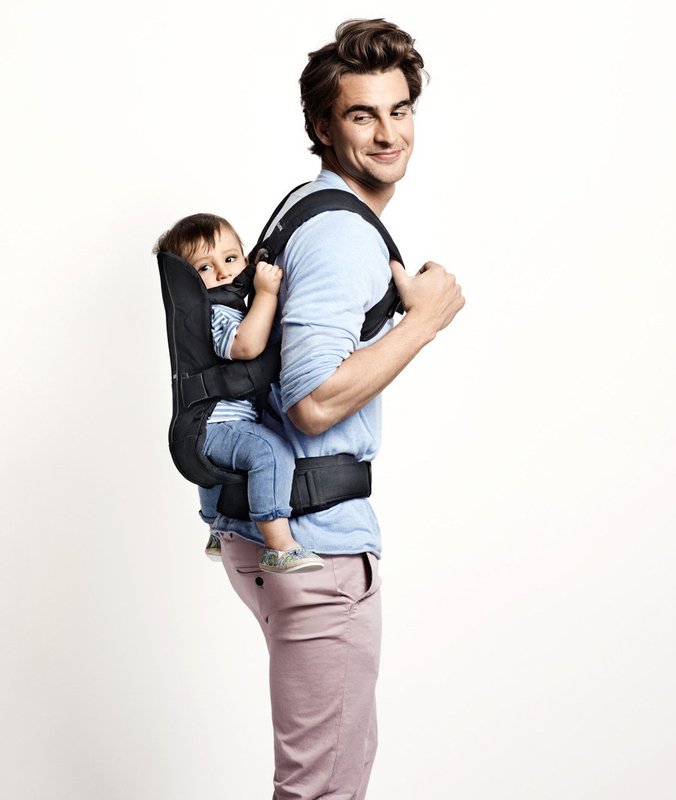 Da es durchaus sein kann, dass das Kind die Wippe ablehnt, ist das Kaufrisiko etwas hÃÂ¶her. Ich habe die Wippe bereits bei meiner Freundin erlebt. Und sie lobte diese in hohen TÃÂ¶nen. Als mein Bruder dann sein erstes Kind erwartete haben wir es ihnen geschenkt. Dann wurde ich schwanger, ich lieh mir die Wippe aus und unsere Tochter liebte sie! Sie kam fast tÃÂ¤glich zum Einsatz. Unsere Tochter konnte sich gut in der Wippe entspannen und so konnte ich sie auch bspw. in der KÃÂ¼che immer bei mir haben. Wir erwarten nun unser zweites Kind und jetzt haben wir uns die Wippe selbst gekauft. Ich hoffe die kleine liebt sie ebenso wie die groÃe Schwester, das macht mir dann den Alltag definitiv leichter. 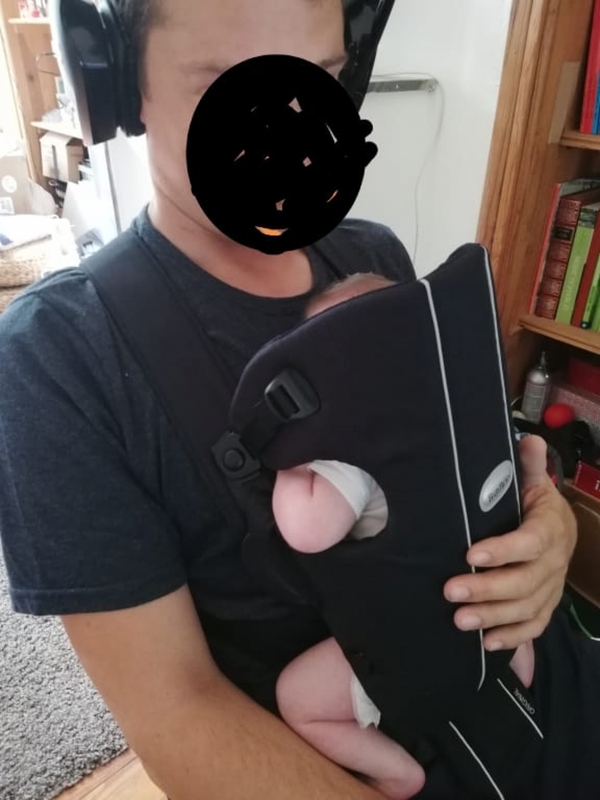 It seems a simple bouncer, but unlike others it has some hidden features that make it a lot more fit to do its job: keeping my baby interested and calm. 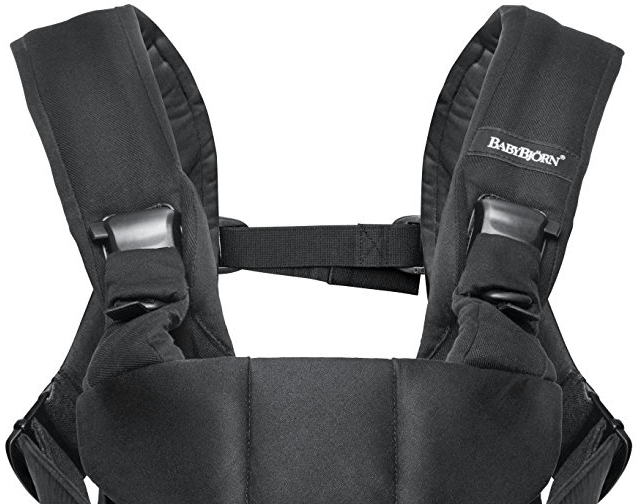 Being able to set the bouncer in one of the three positions, depending on how tired your child is, can be a life-saver! 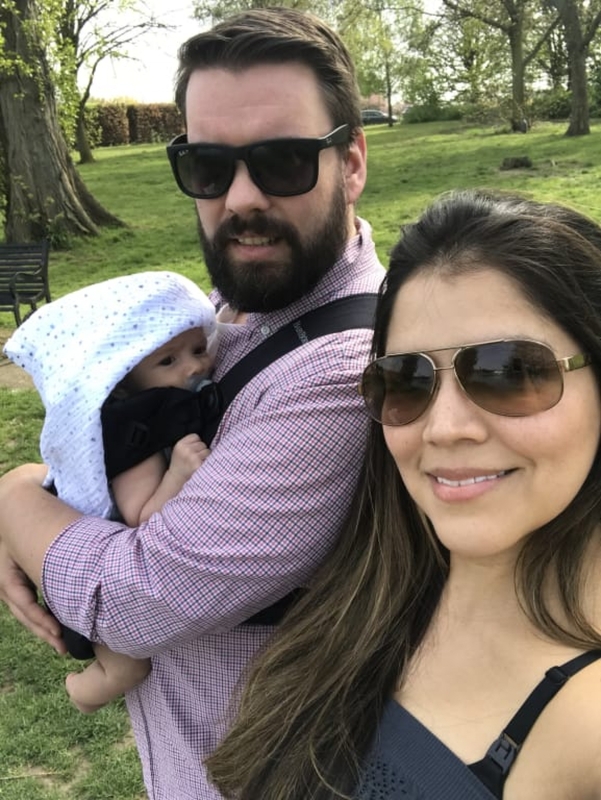 We love that it is a bit more breathable since we live in a very warm climate and when baby wearing everyone gets so hot. This just helps us and baby stay a bit cooler, plus I liked the colors better. We went with Dusk Blue because it is a great neutral, my husband carriers our son most of the time and very much approved of the color. This was especially helpful in the first several weeks when I was recovering from delivery. This was our first major purchase when pregnant and it has turned out to be one of our best decisions! Aunque dice que es compatible para bebÃÂ©s reciÃÂ©n nacidos, me parece que les queda un poco grande a bebÃÂ©s tan pequeÃÂ±itos. LibÃÂ¨re les mains, et permet de va qu'ait ÃÂ ses occupations dans la maison. Vraiment tres pratique, bÃÂ©bÃÂ© reste bien installÃÂ©. One of the best purchase! I liked how it came pretty much fully assembled. The height adjustment is really easy, just a lever underneath. Easy to remove and wash fabric is such a relief. I like that the frame is metal, it seems very sturdy. The fabric is a nice quilted cotton, and I love the neutral color. 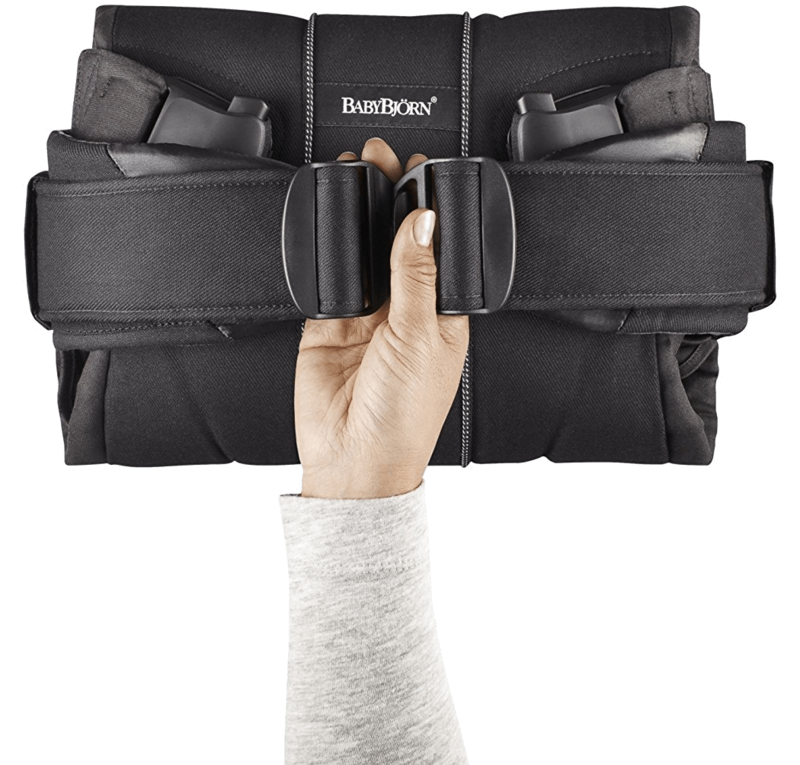 This bouncer folds flat so it's been great for travel and storage. Items without needing batteries are always a plus! I would recommend this bouncer because it will last for years. WÃÂ¼rden sie jederzeit wieder kaufen! GroÃe Farbauswahl finde ich auch super! Baby loves this bouncer. We have tried a few but she enjoys how much this one can bounce. We also like the long age range for this product upto 2 years. Occupies baby for some time so we can get hosehold chores done and enjoy a cup of tea. 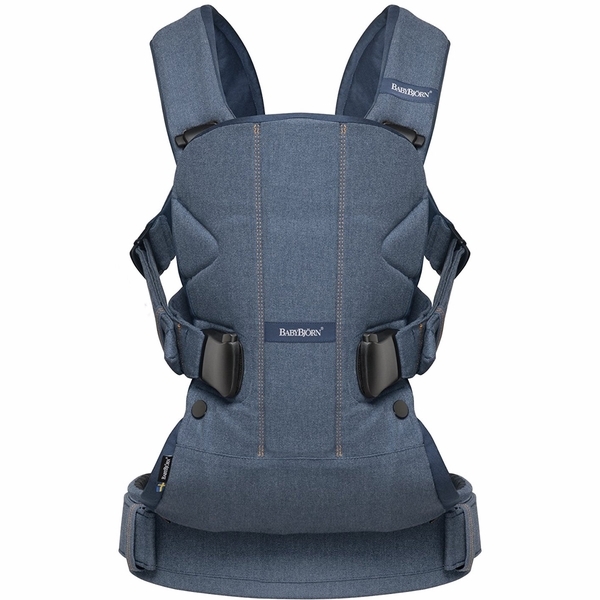 I purchased a Baby Carrier One from a third party, and it didn't come with a manual. 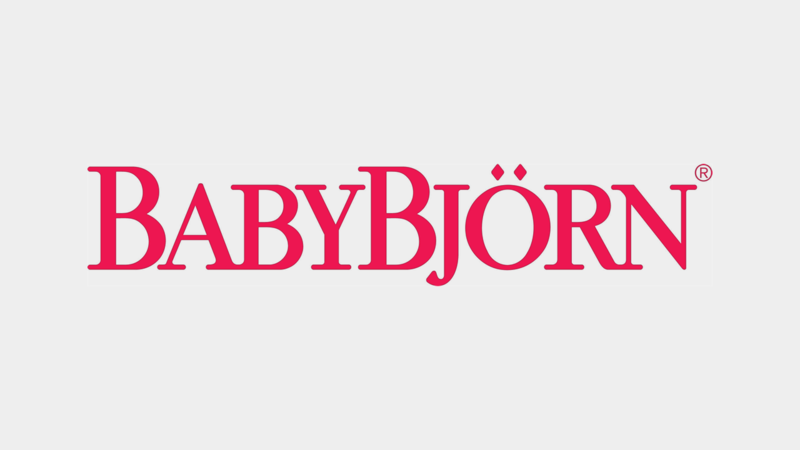 I contacted Customer Support at Baby Bjorn, and they are sending me a published manual (wanted something other than the pdf since it's a gift). What a great company! Transat confortable, trÃÂ¨s pratique, design et trÃÂ¨s facile ÃÂ transporter d'une piÃÂ¨ce ÃÂ l'autre ! Seule remarque : il est indiquÃÂ© ÃÂ partir de 3,5 kilos, mon bÃÂ©bÃÂ© n'ÃÂ©tait pas ÃÂ l'aise dedans ÃÂ ce poids lÃÂ , il l'a vraiment aimÃÂ© ÃÂ partir de 2 mois et 4,5 kilos (sa tÃÂªte se maintenait mieux). Bought this for my 4 month old, it an amazing bouncer as had 3 height levels which he enjoys, for sleeping, resting and playing. So bouncy he can bounce himself with baby movements or we can bouncy him. I also have the toy bar which he loves and what I like most bout his is it last him till he's 2. One of the best things we bought for our baby boy litlle star! It's small, easy to use and does not take lot of space to store. It's extremely useful for parents and often taken for trips. Our child loves to bounce in it. Brilliant idea for a gift. 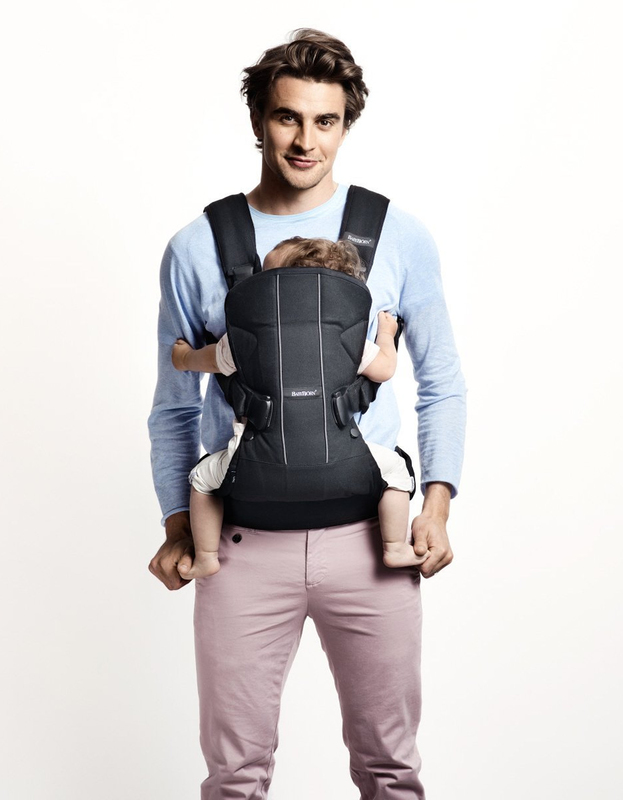 I wasn't too impressed by the BabyBjorn Bouncer Bliss. I don't like that it doesn't bounce unless you physically are bouncing it yourself. The latch to hold the harness in place isn't something very easy to latch and unlatch. My daughter gets more upset to sit in it then she does on the floor unless in right there to keep it a steady bounce or to keep her occupied while sitting in it. It's good for using as just a seat when we go outside and for her to snack in. I like how easy it is to set up or to fold to store when not using. Just not very satisfied with the overall use of the product. Best used just for a seat. 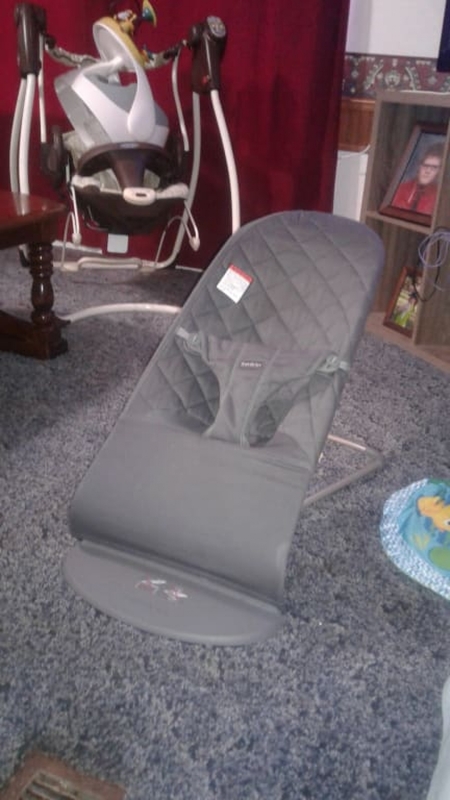 I'd recommend to buy it for a seat to use for snaking and being outdoors, but not so much as for a bouncer, unless you plan on being right there to bounce it until your child falls asleep. 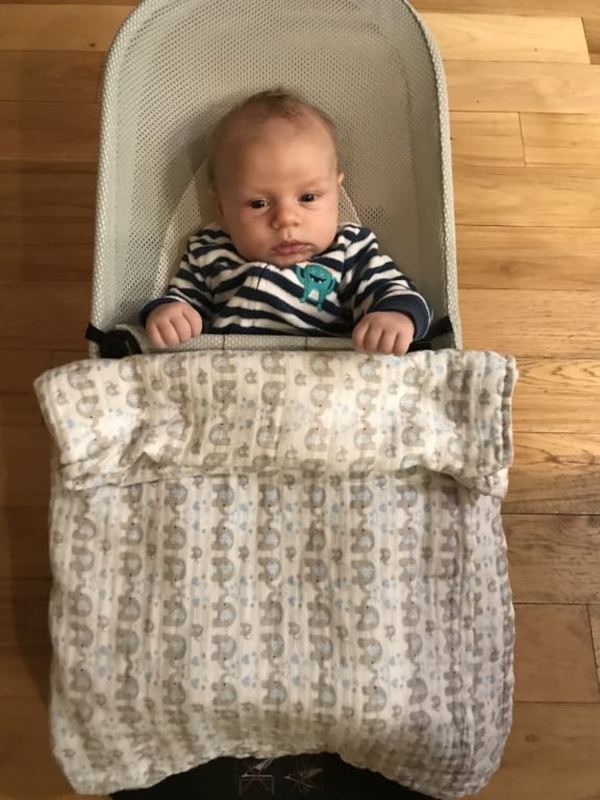 Compared to other bouncers I've used that either vibrate or have a slight bounce to them so you can do dishes or get some laundry done while it's soothes your baby, not where I have to manually bounce it to put my baby to sleep. I don't believe that's the intentions of using a bouncer. 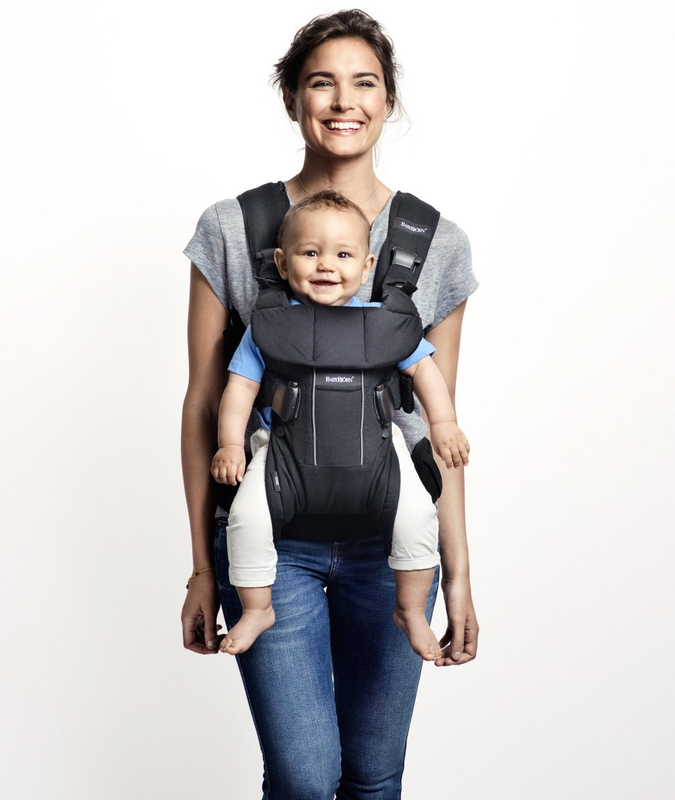 Ce produit est parfait pour materner votre bebe tout en gardant une petite activitÃÂ© quotidienne. Il permet ÃÂ©galement de se libÃÂ©rer les mains pour s'occuper des plus grands ! Die Investition hat sich absolut gelohnt, unser Baby findet es nach 6 Monaten immernoch toll. Inzwischen kann sie sich selber wippen und damit sich auch mal kurz alleine beschÃÂ¤ftigen. Bezug lÃÂ¤sst sich sehr gut waschen und trocknet auch sehr schnell. My 3 almost 4 month old seems to really like this seat. Even better then her swing which she is not a fan of. I like the fact that you can fold it flat for easy storage and portability. And it is easy to clean. You just unhook the two elastic rings and the cover just skips off. It has a sleep setting, and two height setting. I think the height settings is why my baby really likes this seat. Because she can comfortably sit up and see what's going on around her. I wish I had started using this bouncer earlier. I kept it in the kitchen so I could put baby down to have a meal. We did have one or two explosions probably due to the baby's weight of "sitting up" but I quickly soaked the fabric and washed in our machines and it cleaned beautifully. I got the mesh version so it also dried super fast. I think it could benefit from being raised a little more off the ground if possible. That would be my only negative. 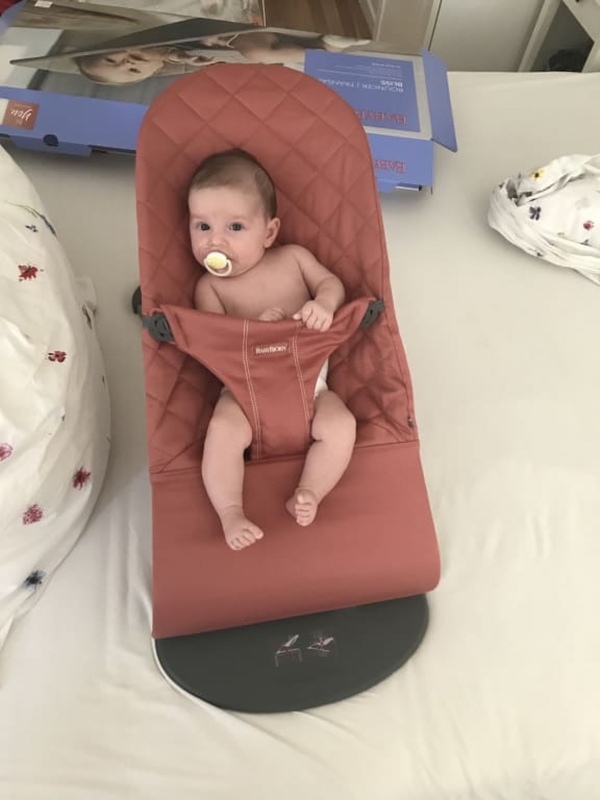 Porte bebe pratique et qui ne prend pas de place dans l'armoire. Trs beau transat, confortable et facile ranger. Notre bb adore ! TrÃÂ¨s beau transat, confortable et facile ÃÂ ranger. Notre bÃÂ©bÃÂ© adore ! Parents de jumeaux nous sommes ravis de cet achat. Nous ne souhaitions pas mettre nos enfants dans un transat mais avec deux ce n'est parfois pas facile d'tre partout. Nous avons donc choisi le transat que nous trouvions le plus physiologique pour nos enfants et nous en sommes trs contents e! Parents de jumeaux nous sommes ravis de cet achat. Nous ne souhaitions pas mettre nos enfants dans un transat mais avec deux ce n'est parfois pas facile d'ÃÂªtre partout. Nous avons donc choisi le transat que nous trouvions le plus physiologique pour nos enfants et nous en sommes trÃÂ¨s contents e! This carrier is amazing good!! I have been used it everytime i go to supermarket, underground/train and in the parks. It is 100% secure and the most important my baby love it. 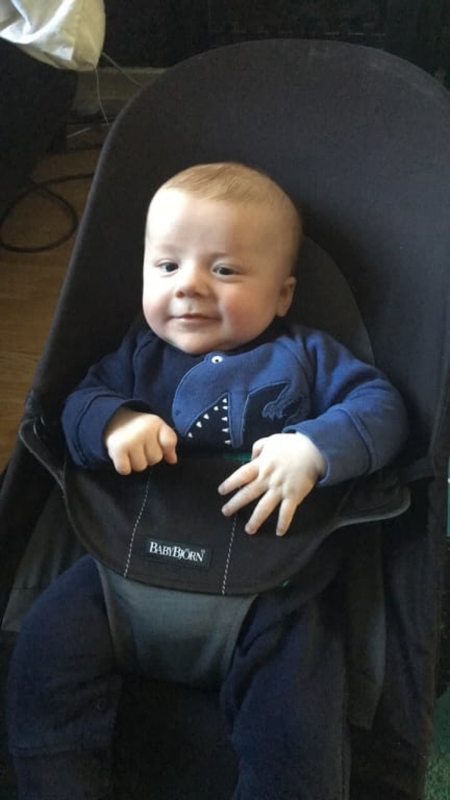 Ich habe mehrere Wippen zum Auswahl bestellt, mein Sohn hat aber die Wippe von BabyBjÃÂ¶rn ausgewÃÂ¤hlt, die hat ihm vom ersten Blick gefallen und gefÃÂ¤llt bis jetzt immer noch! Wir sind so begeistert von der Wippe und wÃÂ¼rden sie immer wieder gerne kaufen! Absolute Empfehlung!!! Ich habe mehrere Wippen zum Auswahl bestellt, mein Sohn hat aber die Wippe von BabyBjrn ausgewhlt, die hat ihm vom ersten Blick gefallen und gefllt bis jetzt immer noch! Wir sind so begeistert von der Wippe und wrden sie immer wieder gerne kaufen! Absolute Empfehlung!! !